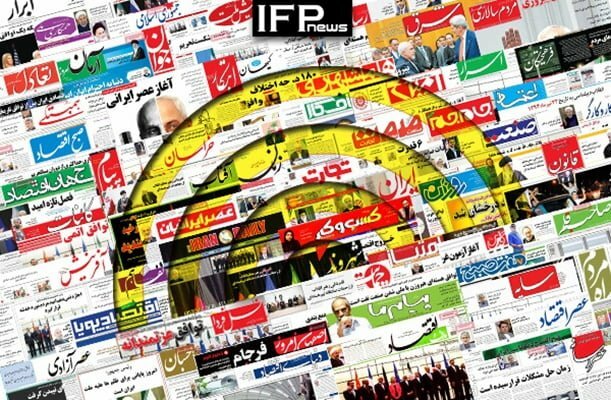 IFP has taken a look at the front pages of Iranian newspapers on Thursday, December 27, 2018, and picked headlines from 11 of them. IFP has simply translated the headlines and does not vouch for their accuracy. Almost all papers today covered the visit of Secretary of Iran’s Supreme National Security Council Ali Shamkhani to Kabul and his Confirmation of Tehran’s talks with the Taliban. During his one-day trip to Kabul, Shamkhani noted that Iran will continue talks with the Taliban to help resolve security problems in Afghanistan. He said that Tehran has been holding talks with the Taliban with the knowledge of the Afghan government. The US decision to pull out its forces from Syria and its repercussions also remained a top story today. Several papers also focused on Israel’s attack on Syria. 1- Bibi’s Gamble: Israel’s Snap Elections to Benefit or Detriment of Netanyahu?